Whether you are looking to deploy your personalized packaging via online or retail, we have the equipment and experience to ramp up immediately to meet your needs. The elimination of printing plates, reduced make ready, and lower die charges enables lower costs, and significantly reduced lead times for your printed packaging. 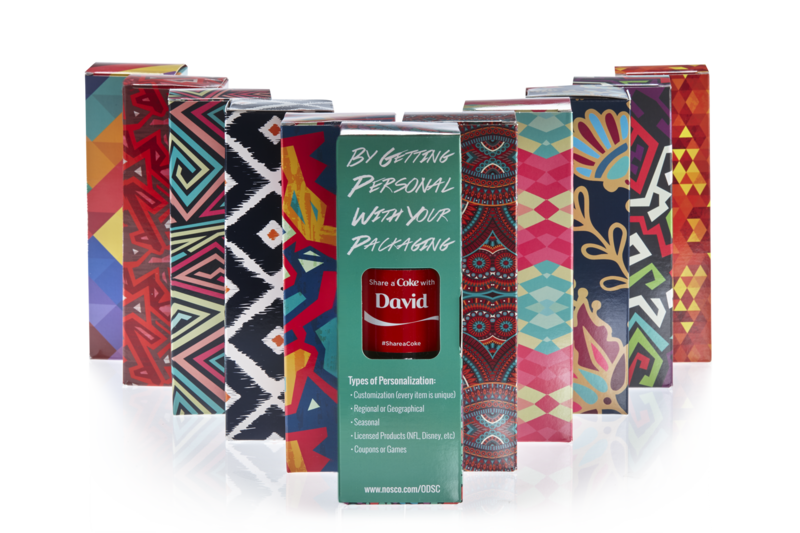 Our expertise in digitally printed packaging, paired with the use of HP Mosaic software, allows brands to personalize any label or carton's images, text, and colors - creating virtually unlimited designs options - more efficiently and at a lower cost than conventional printing. Our team is ready to answer all of your questions.